Coach Composition-- EOG-2/3A-16. Total 18 Coaches. 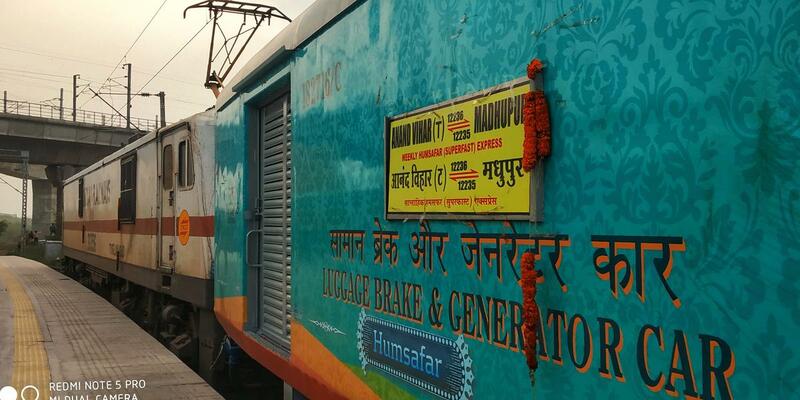 The Shortest Route between Anand Vihar Terminal and Madhupur Jn is 56 km (5%) shorter.